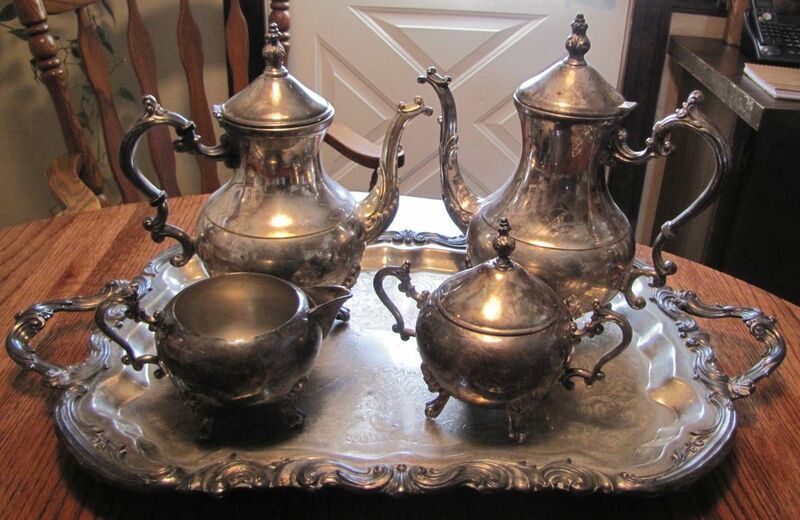 This is an old silver plated coffee and tea set with tray by F B Rogers.The set has both a coffee pot and tea pot with creamer, sugar bowl with lid and tray.The pieces are marked on the bottom F B Rogers with the coffee pot marked F B Rogers Silverplated USA. All pieces are footed, very ornately made and heavy. 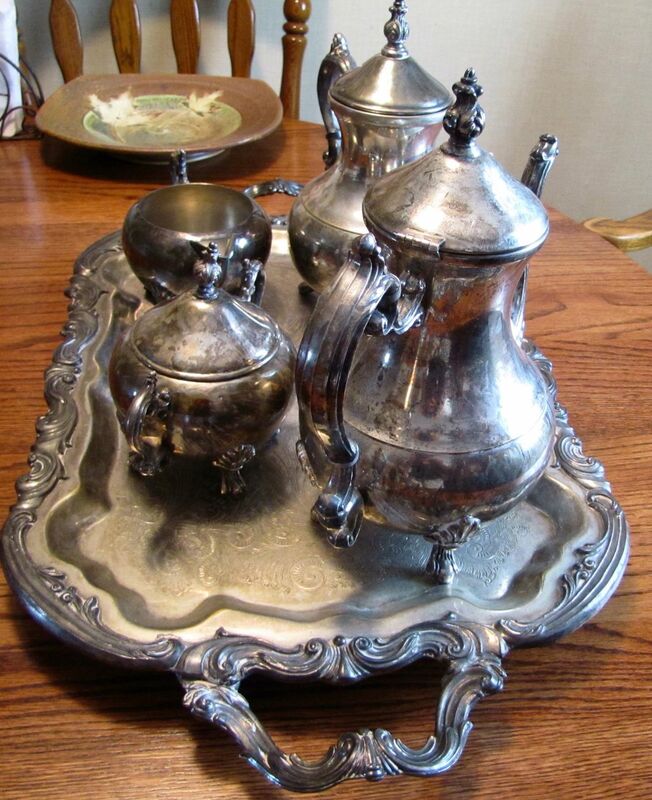 The tray measures 25" long by 14 1/4", coffee pot stands 10 1/2" tall and the teapot is 9 1/2" tall. It is in good condition with no dents, dings or silver loss, but the finial on the sugarlid is broken off and it does need a cleaning.